The MRHC is working towards building a new Roundhouse Building to store and protect our equipment that we have restored or need to be restored. There are several ways the MRHC is trying to achieve this. The MRHC has a contribution board on the model railroad Building. Your name will be shown on the board the color you choose. The MRHC will display a plaque on the Roundhouse Building on each part of the building. Your name or tribute name will be shown on the plaque. Our volunteers play a key role in the organization by donating several hours each year. They come from all different areas and backgrounds but all have the love for the railroad. If you are interested in helping keep our railroad history alive, please call or stop by on a work weekend or during any event for a tour or contact us.. There are many different areas that you can help . We value each one of our volunteers and understand everyone brings their own strengths to help the railroad be its finest. Will you join us? Please sign up to be a volunteer and help to preserve and share the past with future generations. All Milwaukee Road Heritage Center members are invited to attend our board meetings. Board meeting are every second Wednesday of every month at 7 p.m. at The Milwaukee Road Heritage Center Depot. Dates and place are subject to change. If you are interested in running for a position on the MRHC Board of Directors, please contact us. If you prefer to join via postal mail, please click here to download a pdf copy of our Membership Application. I give to the Trustees of the Milwaukee Road Heritage Center, a Minnesota nonprofit corporation, located in Montevideo, Minnesota, the sum of _________ dollars to be used for the Milwaukee Road Heritage Center for its general purposes. * Please contact your attorney for advice about making a charitable bequest. I give to the Trustees of the Milwaukee Road Heritage Center, a Minnesota nonprofit corporation, located in Montevideo, Minnesota, [insert here a description of the real or personal property to be given] to be used for the MRHC for its general purposes. I give [my residuary estate] to the Trustees of the Milwaukee Road Heritage Center, a Minnesota nonprofit corporation, located in Montevideo, Minnesota, to be used for the MRHC for its general purposes. Note: The residuary bequest form can easily be adapted to a percentage allocation to benefit multiple charitable and/or non charitable beneficiaries. I give my residuary estate to [insert name of person] if he/she survives me. If [insert name or person] does not survive me, I give my residuary estate to the Trustees of the Milwaukee Road Heritage Center, a Minnesota nonprofit corporation, located in Montevideo, Minnesota, to be used for the Law School for its general purposes. Please contact your attorney for advice about making a charitable bequest. 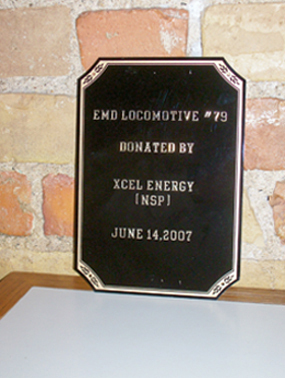 I give to the Trustees of the Milwaukee Road Heritage Center, a Minnesota non-profit corporation, located in Montevideo, Minnesota, (__dollars) or (__percent of the residue of my estate) to establish the (name of endowment), an endowed fund to be used for the MRHC for the following purposes: (state specific purpose). If, in the future, it is the opinion of the Board of Trustees of Milwaukee Road Heritage Center that all or part of the income of this fund cannot be usefully applied to such purpose, the MRHC may use the same for any purpose that will most nearly accomplish my wishes. *Please contact your attorney for advice about making a charitable bequest. You can also create a permanent memorial to a loved one by naming an endowment fund in memory of the person(s), e.g. [insert name of person] Milwaukee Road Heritage Center Fund. An endowment gift is permanently invested, and only the earnings are spent each year. I give to the Trustees of the Milwaukee Road Heritage Center, a Minnesota non-profit corporation, located in Montevideo, Minnesota, (__dollars) or (__percent of the residue of my estate) to establish the (name of endowment), an endowed fund to be used for the following purposes: (state specific purpose). If, in the future, it is the opinion of the Board of Trustees of MRHC that all or part of the income of this fund cannot be usefully applied to such purpose, the university may use the same for any purpose that will most nearly accomplish my wishes." Note: to designate a bequest for a specific purpose or leave it unrestricted, you must stipulate that intent in the terms of your Will or Living Trust. Otherwise, your bequest may benefit the MRHC as a whole. *Please contact your attorney for advice about making a charitable bequest. 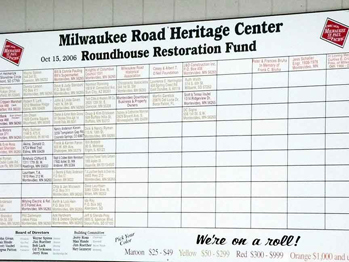 The Milwaukee Road Heritage Center is a 501(c)(3) non-profit corporation.